John Penrose MP’s Jobs Fair Returns! 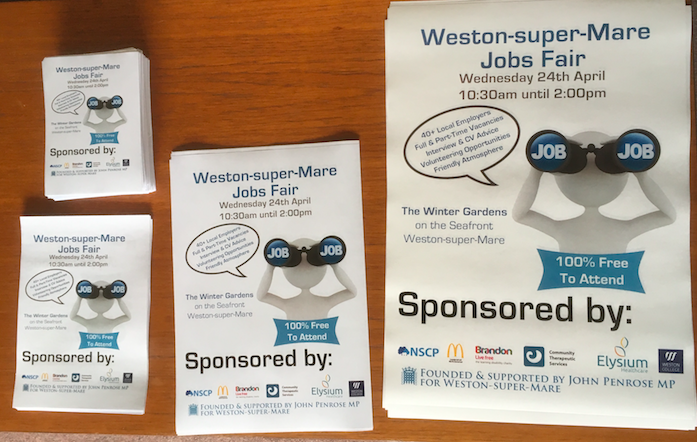 Now in its fifth year, John Penrose MP’s Jobs Fair is set to return to Weston-super-Mare’s Winter Gardens. The event brings together local employers and those looking for work or a career change in Weston-super-Mare. There will be over 50 organisations in attendance ready to talk to you about the opportunities available and the atmosphere is always very friendly and inviting.